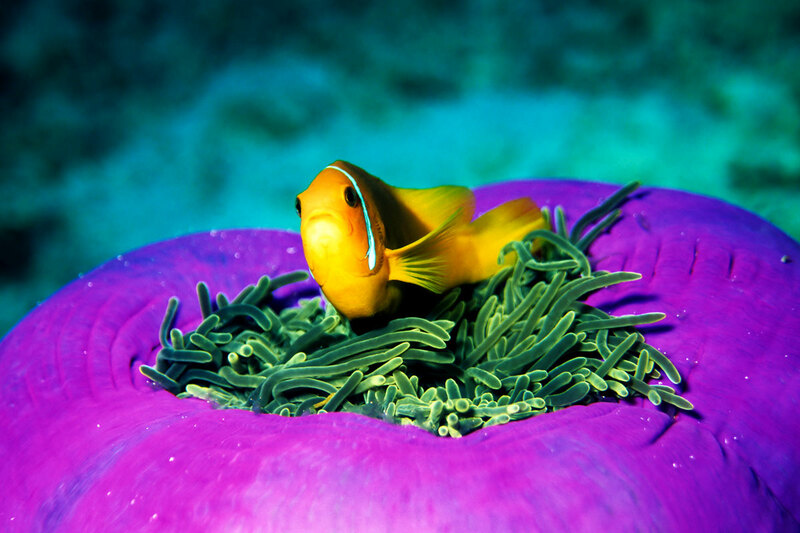 A diving safari at the exotic islands of the Maldives is a dream for every diver, snorkeler and nature lover – a variety of underwater landscapes, colorful coral gardens and caves offer diving experiences that inspire our guests again and again. The two Nautilus Liveaboards, Nautilus One and Nautilus Two are made in traditional Maldivian style of high quality wood and thus fit perfectly in the idyllic islands of the Maldives. 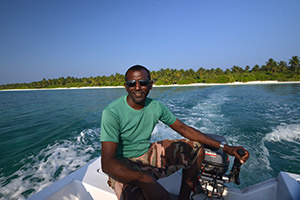 For the construction of the two safari boats we used and processed only first-class materials and modern technology. 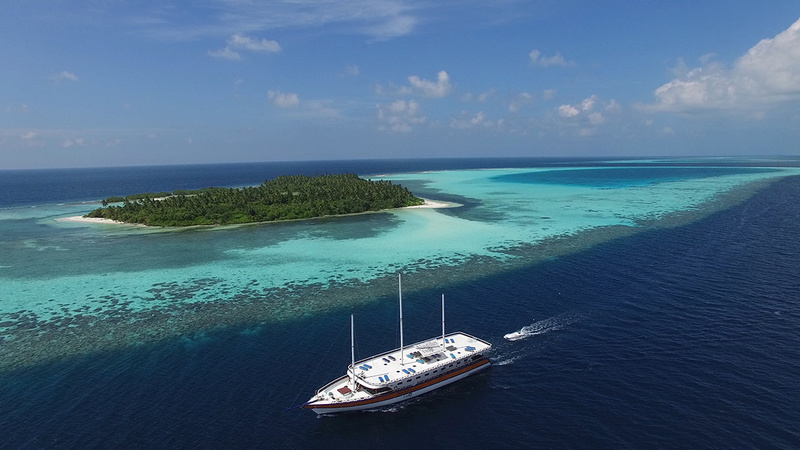 Both Nautilus Liveaboards also feature luxurious amenities and enough space, just the Nautilus Two with its 43 meters in length is absolutely spacious for a liveaboard. 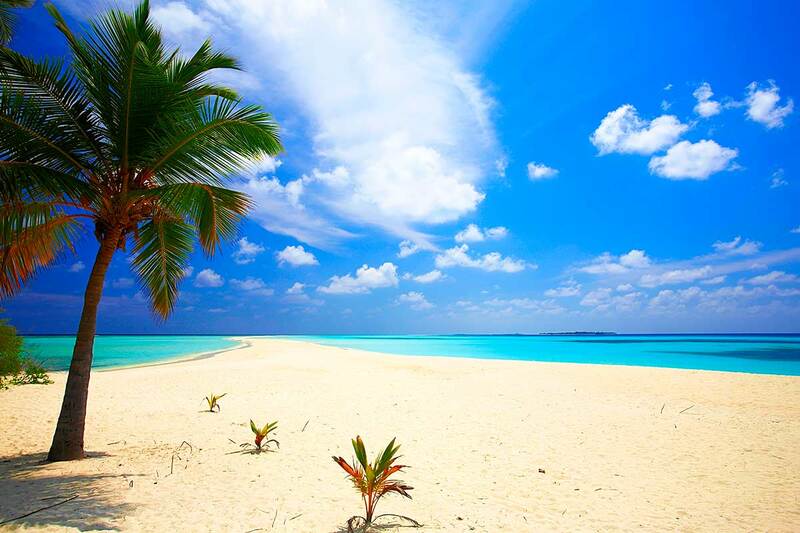 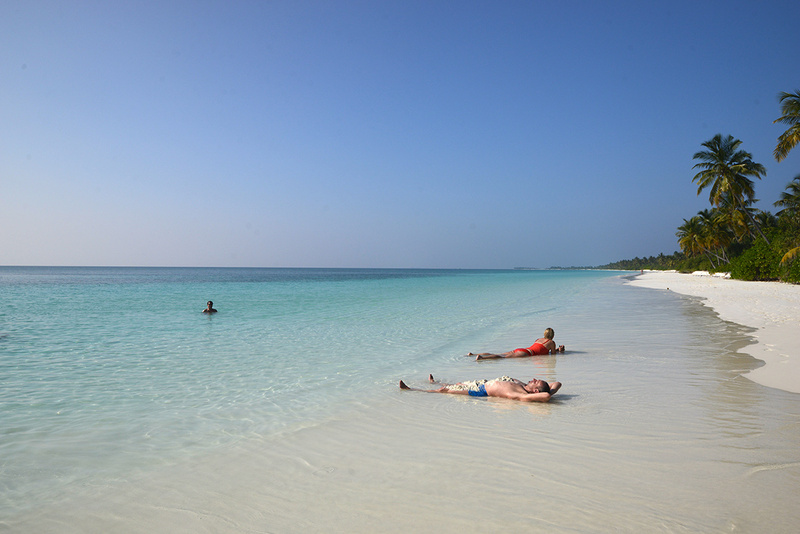 Endless white beaches, azure lagoons, clear blue skies and a soothing sound of palm trees – these are the Maldives. 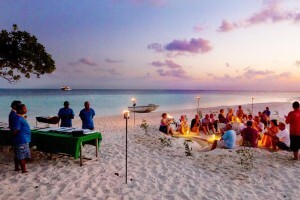 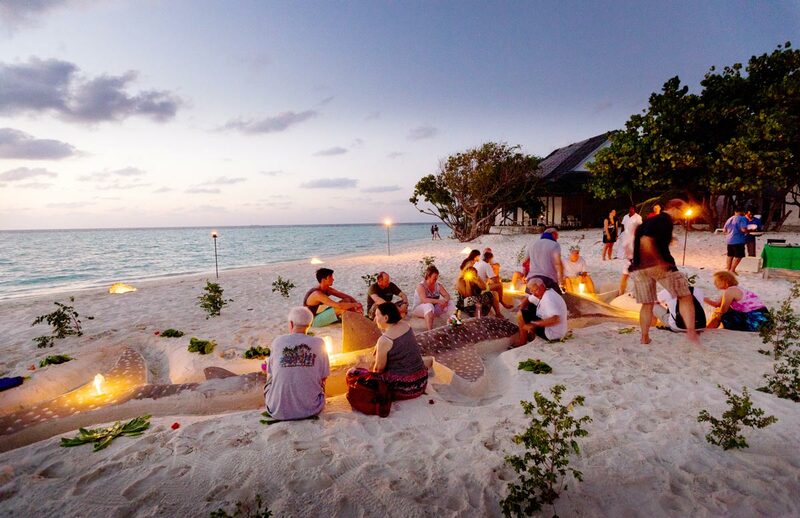 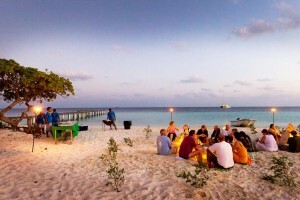 A paradise for divers, snorkelers, kite surfers and those who just want to relax. 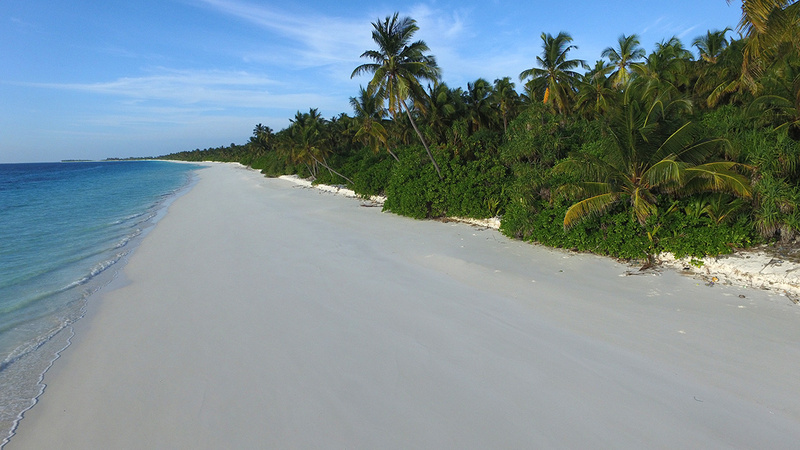 Even the approach to the airport island Hulhulé, which is directly opposite the capital Malé, will take your breath away. 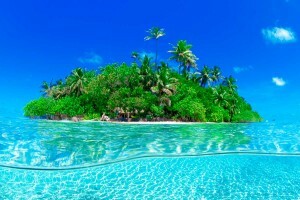 In bright sunshine countless islands scattered in the ocean. 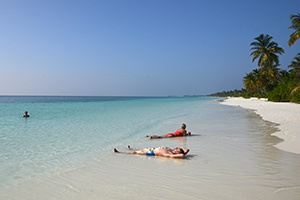 About two hundred of these islands are inhabited and more than ninety islands serve as a paradisiacal destinations for the holidays at the Maldives. 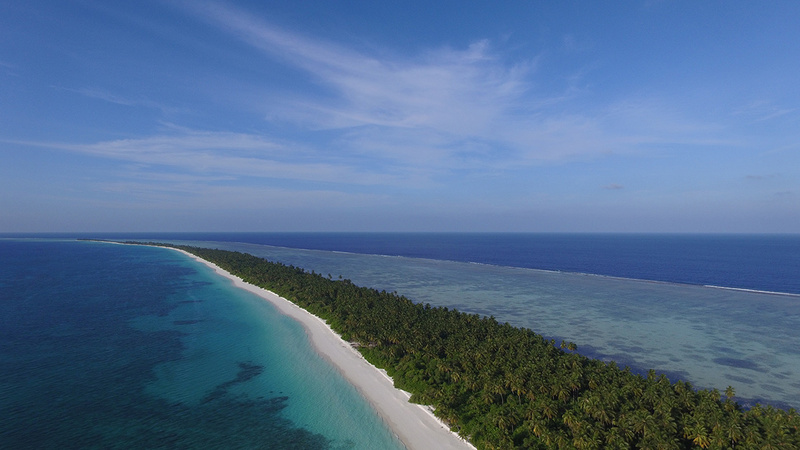 Almost all of these islands have a fantastic house reef and countless other reefs inside the atolls offer unforgettable dives on your diving safari with the Nautilus One and Nautilus Two. 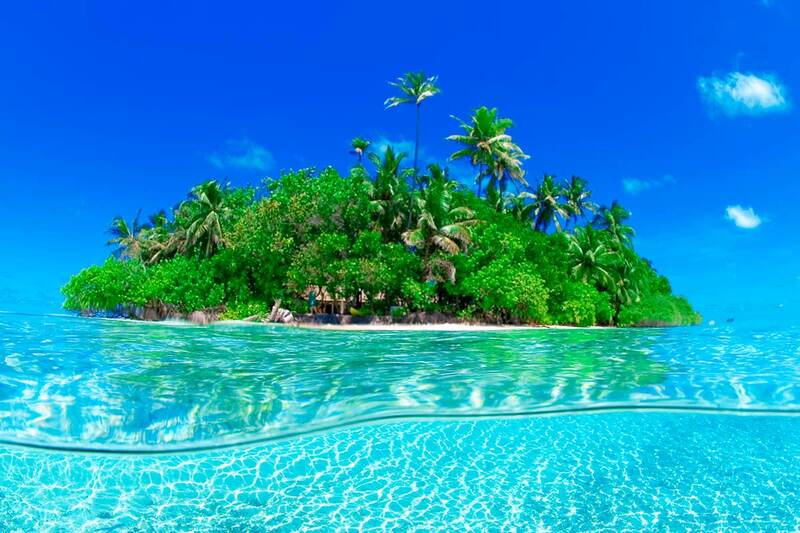 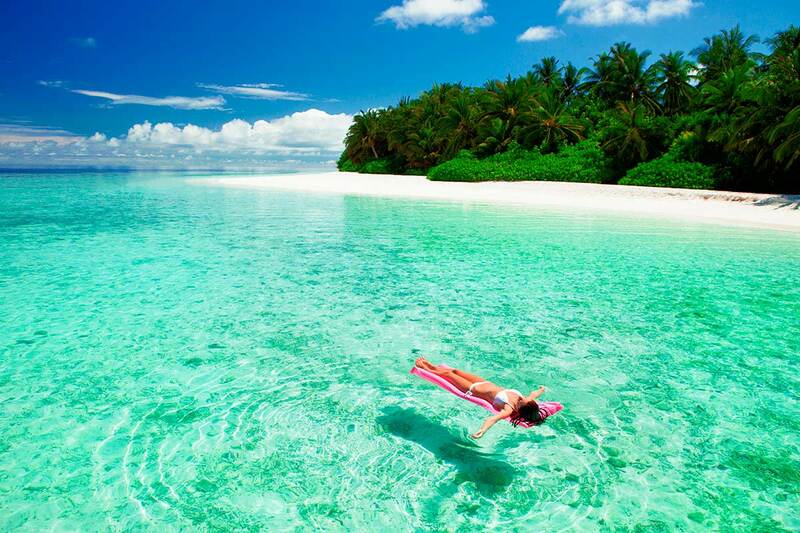 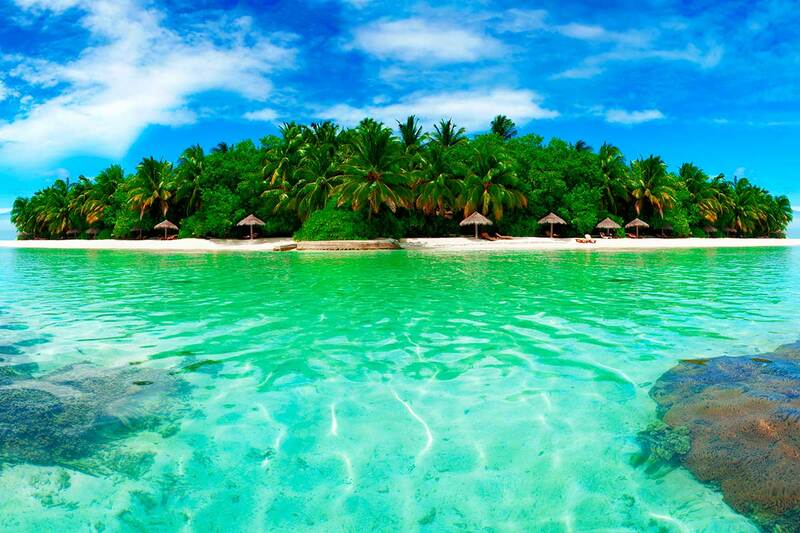 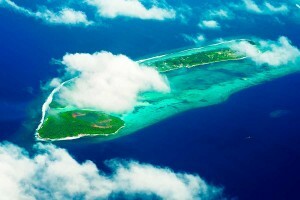 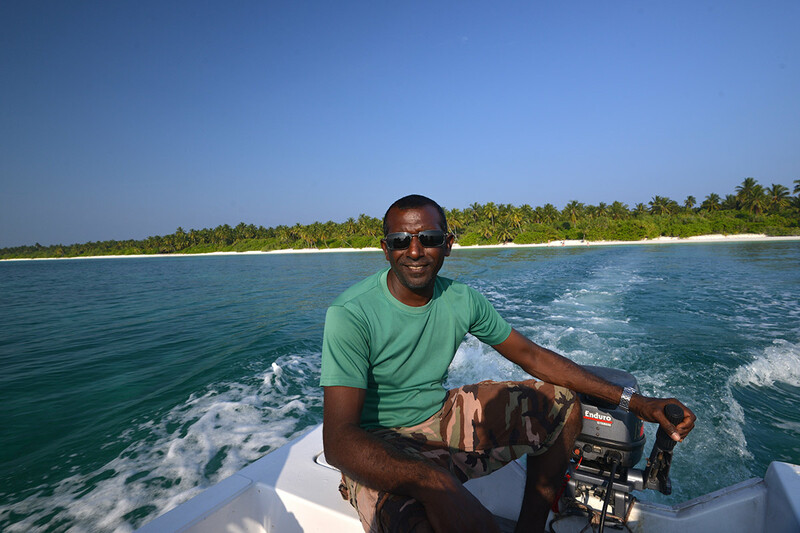 The tropical island nation with its approximately 1,200 beautiful islands in the northern Indian Ocean. 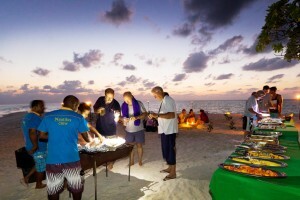 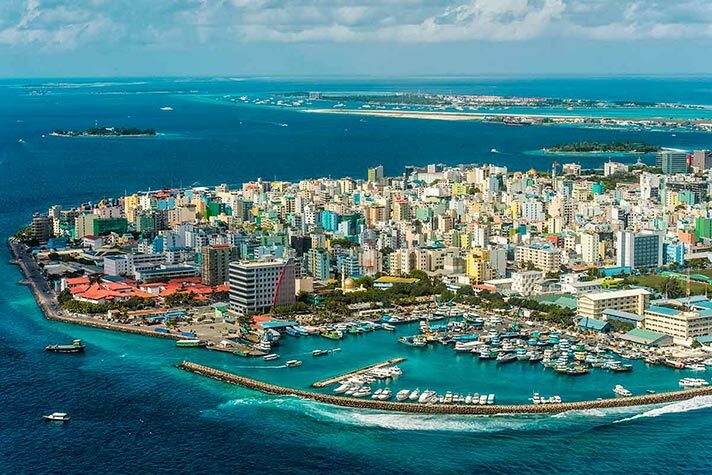 In the capital of the Maldives reigns with its colorful markets and ports, the bustle of a vibrant tropical city. 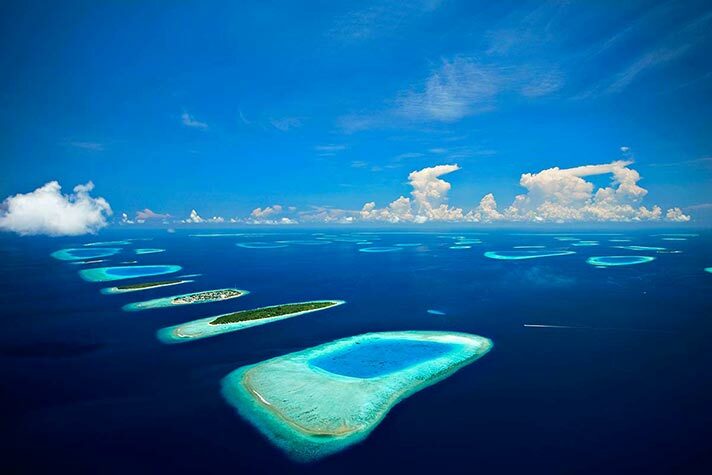 The Maldives consists of a chain of 26 fantastic atolls extending from north to south across the equator. 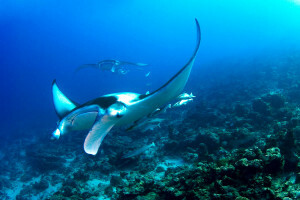 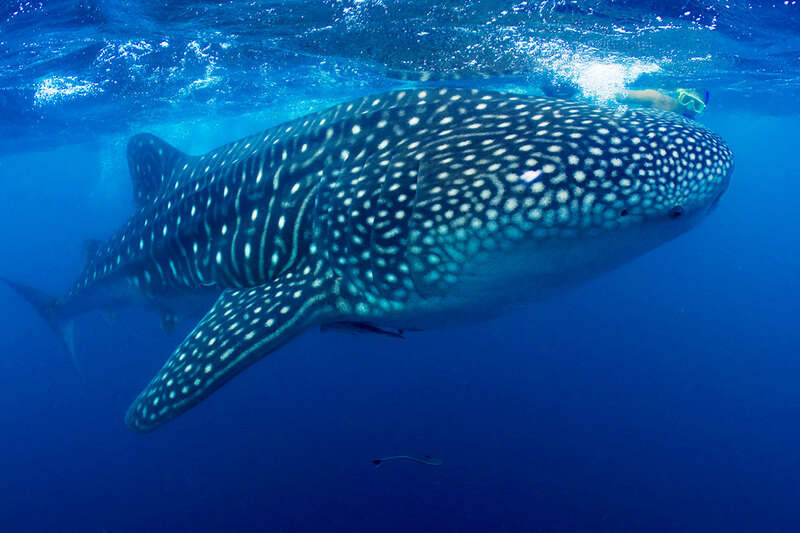 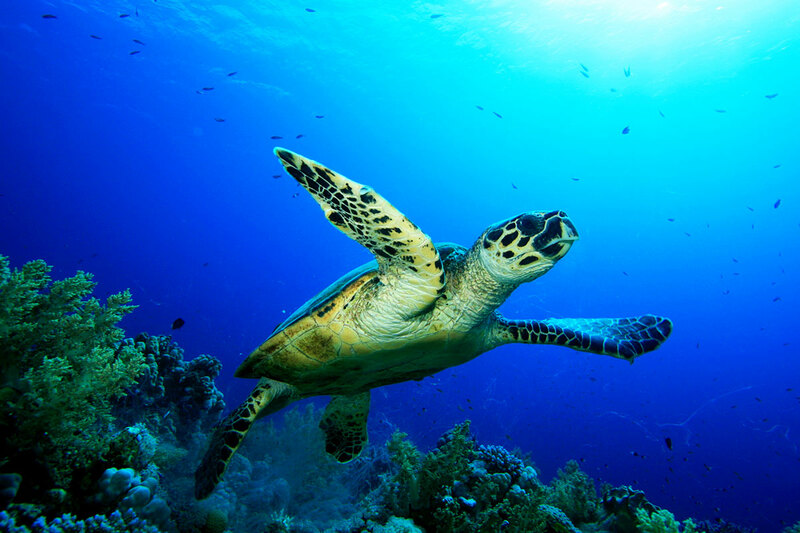 A diving trip to the Maldives is an unforgettable experience for every diver and especially a liveaboard offers the ideal setting to completely savor the variety of fabulous dive sites. 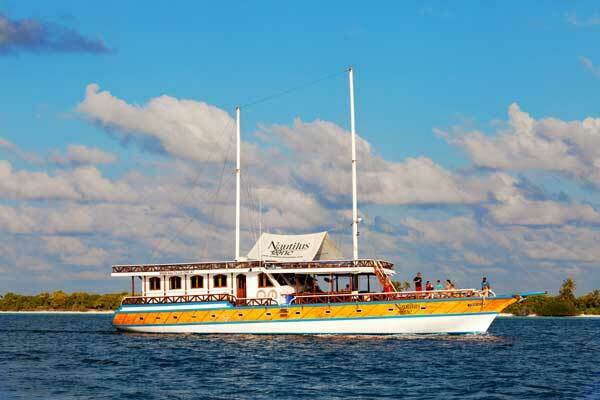 On a liveaboard trip with the Nautilus One and Nautilus Two you will experience the exciting underwater world of the Maldives very close. 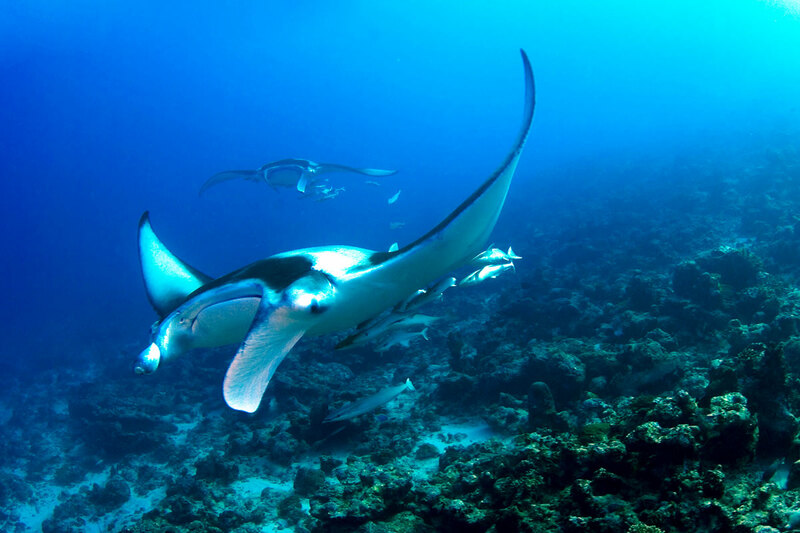 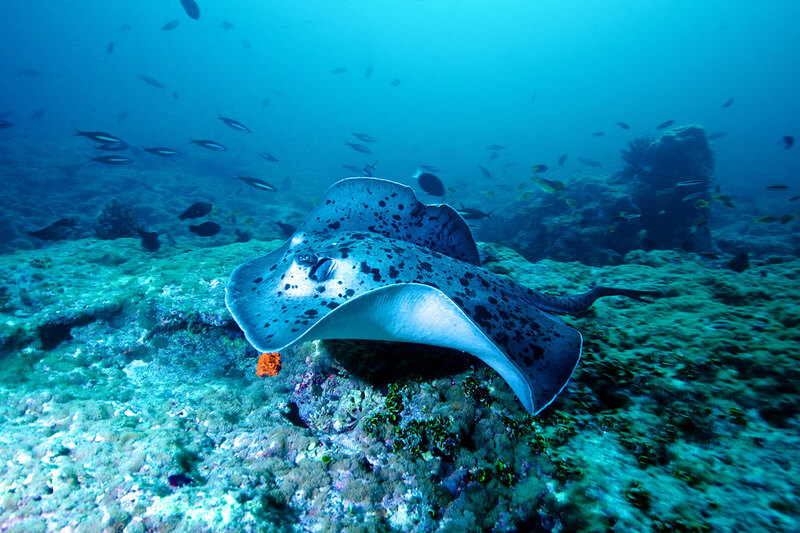 You dive in strong currents at big fish areas with manta rays, sea turtles and sharks, meet on large flocks and curious reef dwellers, seeing beautifully overgrown wrecks and discover the hidden world of the “macro-beings”. 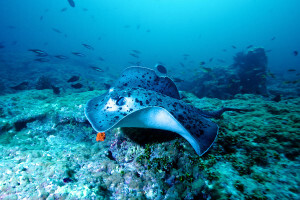 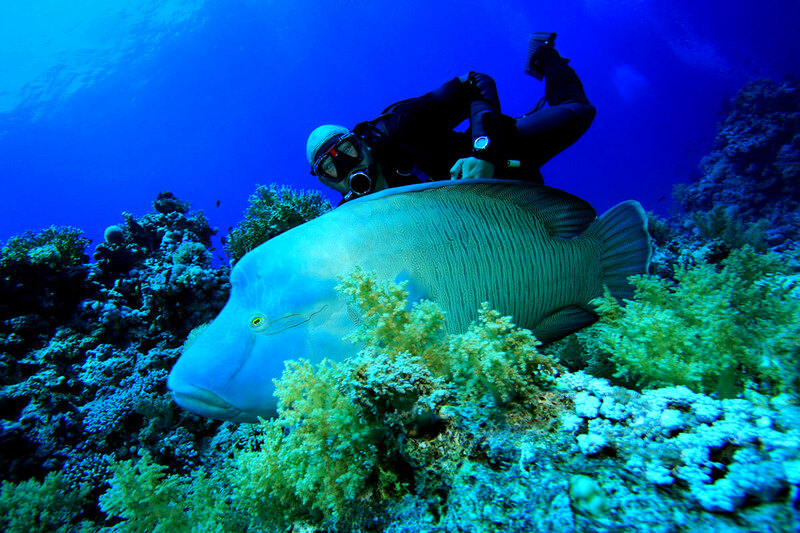 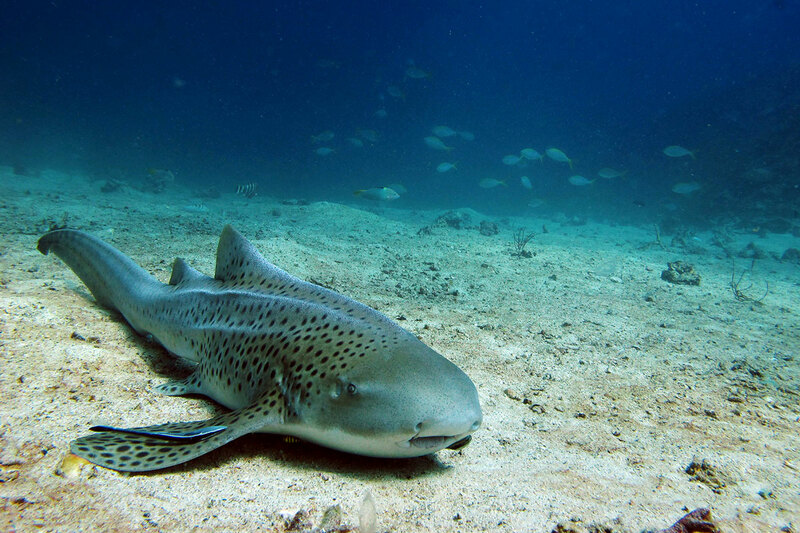 All dives on the dive safari will be accompanied by our experienced dive guides, so you can find guarantees the most beautiful corners of the approached dive sites. 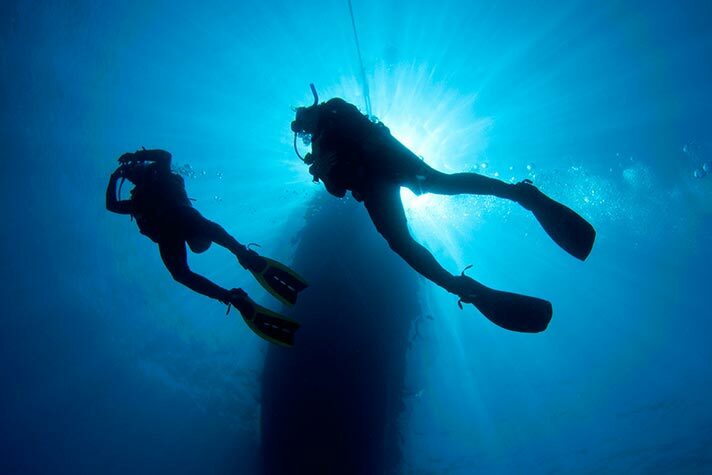 Of course, experienced divers can explore the dive sites together in a buddy team after a detailed briefing. 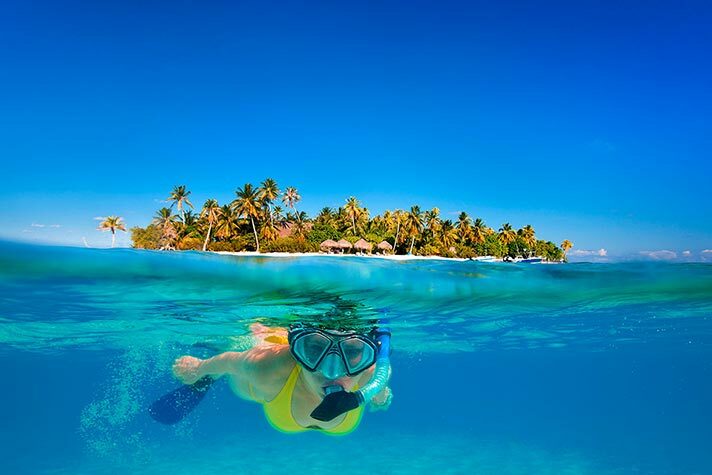 Hardly a diving area in the world has so much to offer like the Maldives. 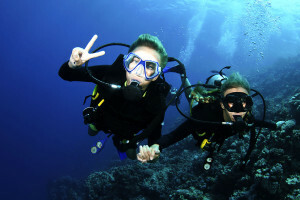 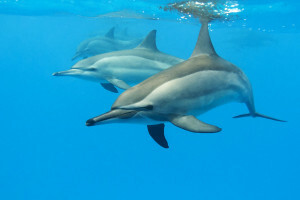 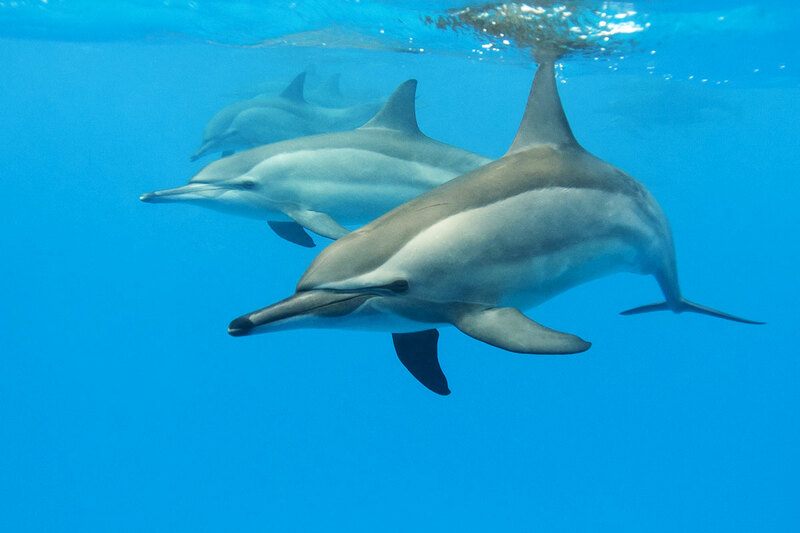 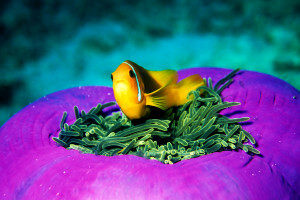 A liveaboard is perfect for exploring the underwater world and the islands. 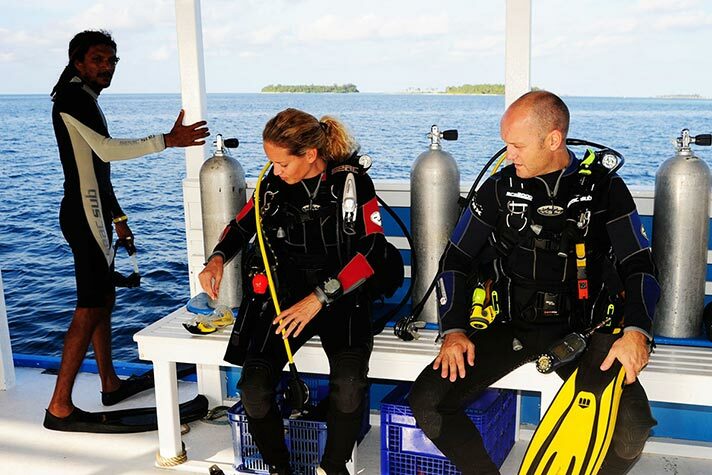 A diving safari with the Nautilus Liveaboards not only offers unforgettable diving to the most beautiful dive sites in the Maldives, but rather many more activities and attractions. 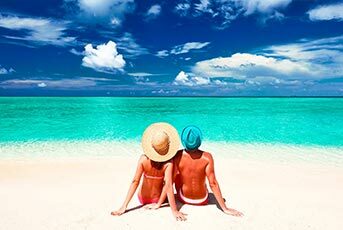 Therefore, the tours of the Nautilus One and Nautilus Two are also ideal for those seeking tranquility and nature lover without a scuba certification. 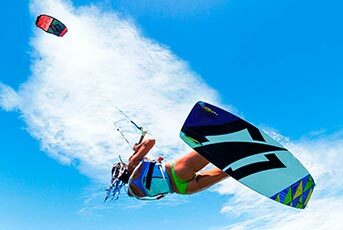 Also kitesurfers will find ideal conditions in the Maldives, with endless lagoons and strong winds, and are welcome on our tours. 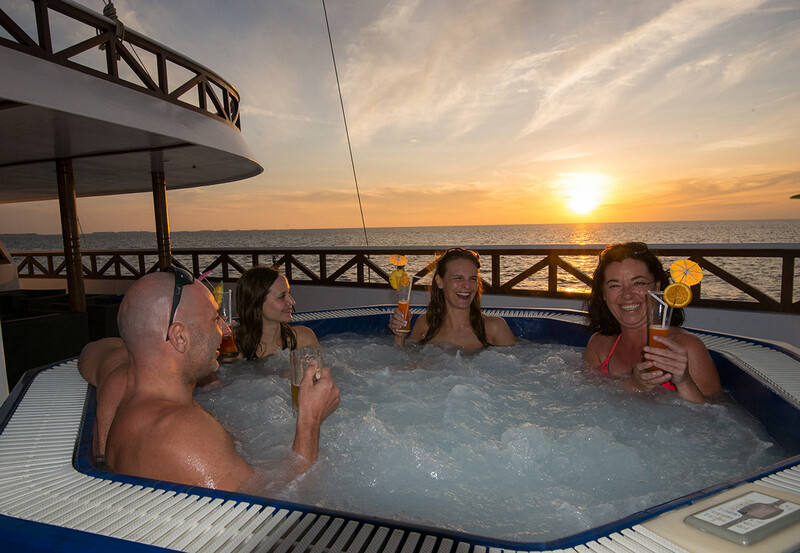 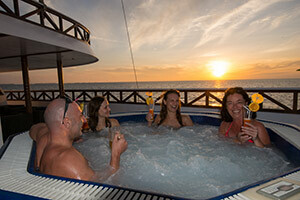 Enjoy the numerous amenities on board of the Nautilus Liveaboards such as the Jacuzzi on the foredeck of the Nautilus Two. 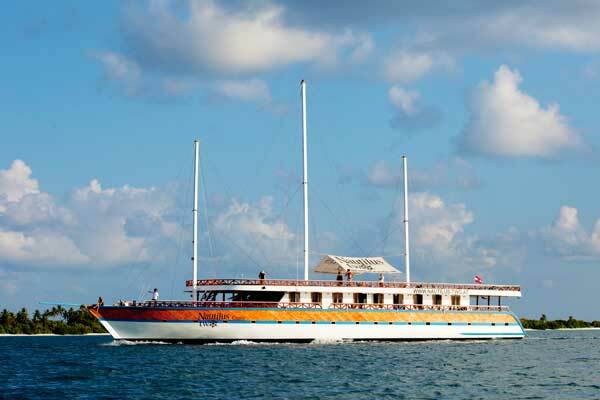 Relax on the spacious sun decks of the two safari boats with stunning panoramic view of the island paradise of the Maldives. 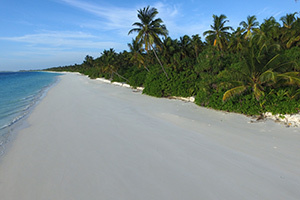 The Maldives offer ideal conditions for kitesurfers.